Jeremy Bennett and Peter Scudamore along with their wives own and operate Polkerris and Vista de la Bahia in Montego Bay, Jamaica. Since White Stone Marketing is primarily a US-based business, we don’t often get calls from innkeepers from other countries. However, Jeremy and Peter had a very clear vision for what they wanted and decided that White Stone Marketing could deliver the right image for success. We immediately got to work! Our first order of business was to set up an on-site meeting with our General Manager, Chris Kelly, who does the majority of first-time client visits (another WSM perk! ), as well as our Design Director, Liz Hamilton. We asked Liz to join Chris on this particular trip to take advantage of her extensive photography skills. Because the Polkerris group had very little in the way of good photography and virtually no online presence, we needed to hit the ground running. 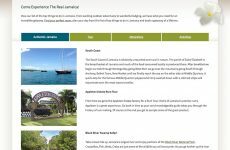 Because custom sites take time to develop, Peter and Jeremy chose to have a temporary site put up with the photography and text Chris and Liz created while on site. 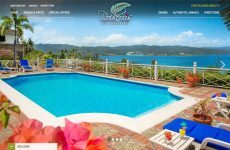 Thus, before our team even left the beautiful island of Jamaica, the Polkerris and Vista de la Bahia sites were up and running. The first challenge we had to overcome was the difficulty in the pronunciation of the names of the inns. 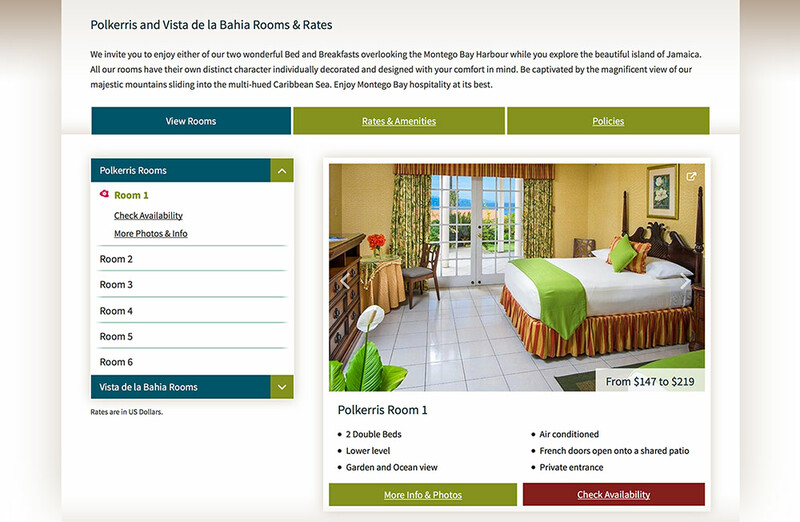 To simplify, we came up with Montego Bay Inn and quickly registered their new domain. 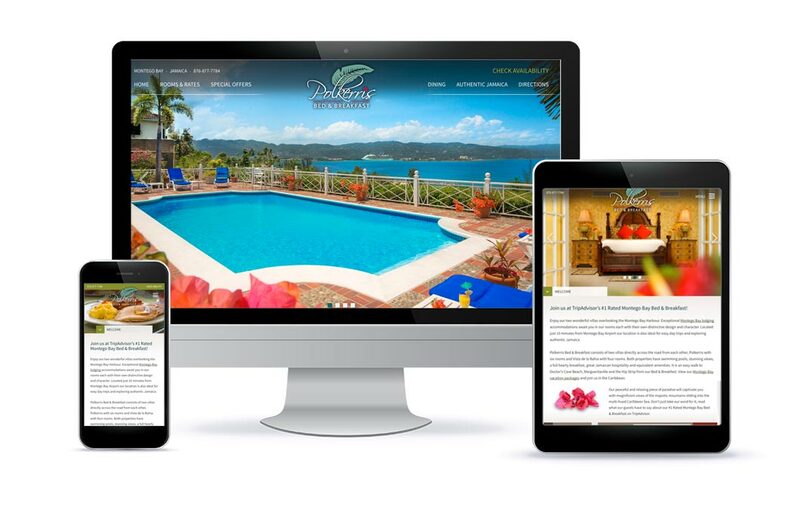 Working closely with the entire family over the next few months, we developed their custom site which beautifully and accurately represents the Polkerris experience in Jamaica. The first thing you will notice are the sweeping ocean views and the picturesque setting of the inn. 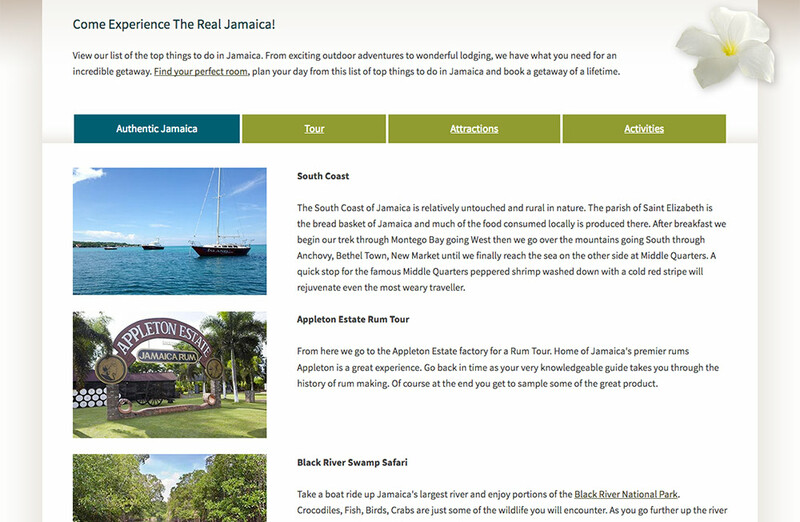 The design of the website allowed us to convey a strong sense of place and in order to not conflict with the stunning imagery, we created a simple arrow drop down at the bottom of the page which will reveal the content. The client didn’t want any interference with the photos while our SEO team insisted on some good content. 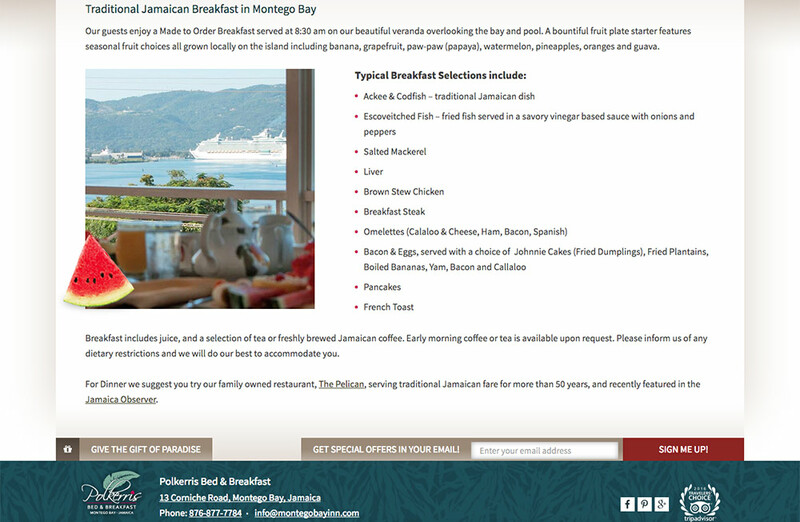 Thus, this balanced compromise was conceived for this Montego Bay lodging! Peter – I will always be grateful to have met you and your lovely wife at the HMS Conference in Denver. Thank you for making the trip to visit us and see the folks who wanted to make this dream a reality for you.